Hello Guys, today's topic is about Meta Tags, here we will talk about meta tags, type of meta tags, the importance of meta tags in SEO, how to write Search Description and Title? If you want to rank your website and want to get organic traffic from Search Engines then it will be helpful for you so read this article up to last to have a clear understanding of meta tags. On-Page SEO is such an on-site technique where we optimize our whole site to get the best result and to get attractive free traffic source. Meta tags are the key factor of on-page SEO that will help you too much in a better way to get high page rank on google. If you are using meta tags in a beautiful way then congratulations you are gonna to get better page rank on google. Inside On page optimization, we have to include techniques like Theme selection, Internal Link Building, Content writing and many more. Among them, most important on-page SEO tools or technique is meta tags that play an important role in improving your on-site optimization and ranking on search engine. Metadata is documented tag HTML. Metadata is not displayed on the page but preferred by machines or bots. A meta tag optimization is an initial state of SEO. A meta tag is some special text that tells to google bots about your web pages to get crawled and indexed. A meta tag is always to be included within or header tag in HTML. Meta tags tell in an understandable form about your web page to a browser. "SEO Tricks And Tips" the uppermost line is Title, the description below the link is Meta Description that gives a short description of a site. So for better optimization title tag, meta tag should be written in a very well format and thus should be included in every post of your site. What are the Top Meta Tag Optimization techniques? In meta tags On-Page optimization, there are mainly Title, Description, the keyword within the description, Meta Tags techniques available. > Meta Title Tag:- The title shown on top of a page is not actually a meta tag. The first thing displayed on google is the title, so be careful while writing a title of any post. -> Length of Title should be always less than of 55 characters, google bots feel uneasy to crawl those title whose length is more than 55 character. -> Your main keywords for a post should be included in a title. -> Title should be matched with URL. > Meta Description:- All the description written after the title is the meta description. It should include an overview of that post, it tells people: "Why to read this post? ", "What is included in this?". In a sense, the meta description is the key tools to attract traffic sources to your site's post. Here Length of meta description must be about 160 characters with spaces. Write a good and better description otherwise, Google robots will replace your bad description with google description. Never put your description inside quote. Inside meta tags about 6 to 10 keywords should be included. > Keywords:- Keywords are searched queries on Google for which your site will be displayed in the result. For this you have to include some keywords inside your post inside <h1>, <h2> tags. Put some keyword in your post that is related to your title, description, and content. You can also include about 5,7 keyword on meta tag after meta description. And choose such keywords for which you want to rank. 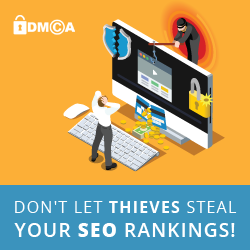 "Please do not waste more time on meta keyword tag but if you spent your valuable time on title optimization and description tag optimization then your SEO performance will result better." > Robots Meta Tag:- Robots meta tag is not too much important meta tag. Usually, we use robots meta tag to tell the google bots not to index this page. If you are unknown about this tag, then definitely your web page will not be crawled and indexed by search engine and you will fail on getting traffic sources and high rank on search engines. First, one tag tells google bots not to index and not to follow links included on this web page. The second one tells please do index and as well as follow links included on this web page. The third one tells Please not to follow links on this web page but index this page. > Char Set Tag:- Charset tag is also called as UTF-8 tag and this includes that contained in this HTML page is in the English language. 1. Bold letter at least twice for one web page. 2. A hyperlink should be about 70 characters for one web page. 3. Image property is set to each and every image by setting "alt" text. Which is the best Tool for checking Meta Tags and Description? SEOmofo is an amazing tool for checking and simulating your Title Tag, Meta Description on Google SERP simulator. It gives a snippet preview. SEOmofo helps in writing Title Tag, and Meta Description for your website. It analyzes Meta description and Title tag and displays how it will be looked on Google with Google SERP simulator. In this way you have learned about meta tags, it needs to get ranked on a search engine.